What Should I Do If I am Injured by a Dog Bite? During summertime in Minnesota we emerge from our winter hibernation to soak in some vitamin D and spend some precious time outside enjoying the warm and sunny season. As a dog lover, I enjoy the opportunity to spend more time outdoors with my dog, Lucky and our office pup, Diva. But, I am always reminding myself that just because I am a dog lover, this does not mean that all dogs love me. While we can try to be sensitive to the emotional state, behavior and needs of other people's pets, sometimes there is nothing we can do about a dog attacking or biting. 1) Perform first-aid and get professional medical attention. Sterilize your wounds by applying a cleanser or anti-bacterial agent such as hydrogen peroxide, Neosporin ointment, or bacitracin. Go to the emergency room or urgent care as soon as possible. 2) Inform the dog's owner of the incident. Document the dog owner's address and obtain the animal's vaccination information. You want to know if the animal's vaccines are up to date, particularly the rabies vaccine. If possible, also get the dog owner's homeowners or renters insurance information. 3) Photograph the wound and other damages. Photographs are invaluable evidence for your claim and should be taken as soon as possible, although not at the expense of your health. You should also plan to take photos of your wounds throughout the healing process. If your own animal was harmed in the attack, be sure to photograph your dog's wounds as well and, of course, present them for emergency veterinary treatmentas soon as possible. 4) Report the incident to police and animal control. In order to hold the dog owner accountable for your damages, you must create documentation early. Dogs can't be cross-examined at a trial. 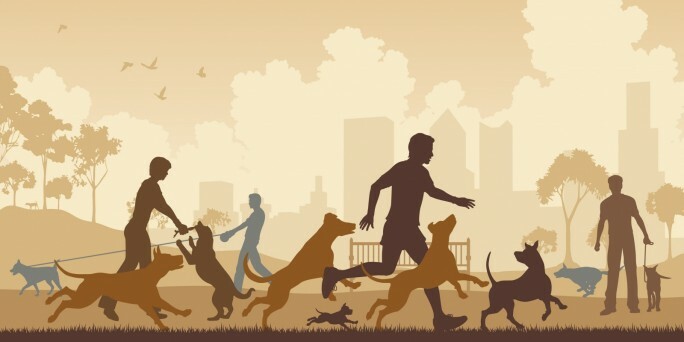 The police and animal control authorities may have different priorities over dog bite incidents depending on where the incident occurred, so you should always report the incident to both agencies. 5) Contact a dog bite lawyer. Early contact with a personal injury attorney that is experienced in dog bite injury cases ensures that you have an advocate at your side from the very beginning. Your lawyer will advise you on best next steps and handle all the details of your claim, allowing you to you focus on healing. We live in a very dog-friendly city. All of my neighbors have dogs and as responsible pet owners we try to work together to keep our dogs controlled, happy and safe. Unfortunately, sometimes dogs act out agressively and bite or attack, for various reasons. If you or a loved one has been the victim of a dog bite attack, our dog bite injury lawyers are ready to work for you to get you the compensation you deserve. We fight tirelessly for you while giving you the personal attention you deserve. At Lord + Heinlein, we are your powerful legal voice.